The mathematicians may be disagreeing about the odds of this coincidence but that's nothing new with 'experts'. James and Carmen Weir, who live in Chapelgate, Scholes, England had a baby on May 1st - a son, Joseph who clocked in at 8lb 1oz - which just happens to be the weight my son was when he was born. But that's not the coincidence or even relevant to this coincidence story. The thing is that James and Carmen already have two daughters, Ella and Megan, and guess what. Yes, they were also both born on the the 1st of May as well. So three children with the same birthday. The odds of that happening appear to be anywhere between 133225 to 1 and er, several million to one. But, whatever, it's a rare occurrence. The couple didn't think that this was likely to happen as Joseph was actually born two weeks late. He must have thought he'd hang on and give them a nice surprise. This way he knew his parents would never forget any of the children's birthdays. James, an engineer, told the The Huddersfield Daily Examiner, "It’s certainly a huge surprise. Ella was born two weeks early and Megan was a day early so it was a remarkable coincidence that they both arrived on May 1. 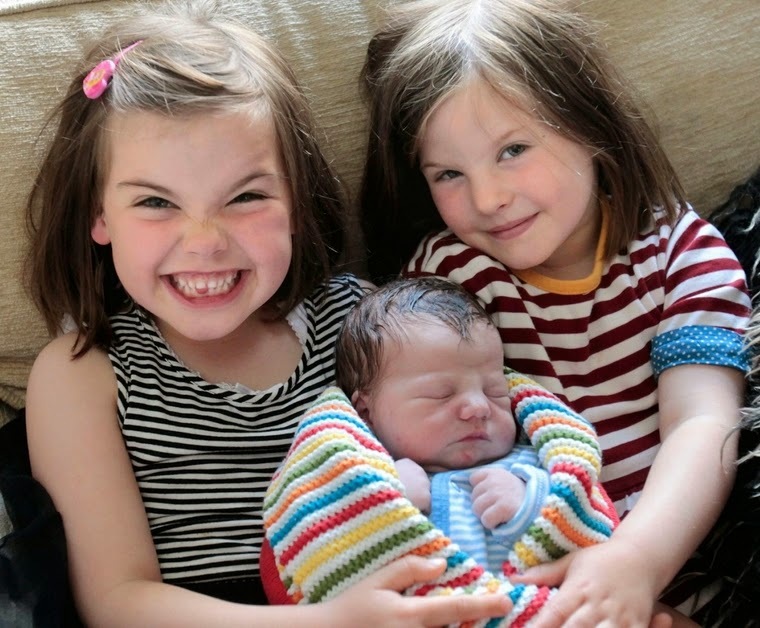 The date we were given for Joseph was April 17"
He added, "Some of my colleagues at work Googled the odds on babies being born on the same day and came up with some amazing figure of 48 million to one: I wish I’d had a tenner on that. But that’s definitely it. With having to wait that extra two weeks for Joseph it has been tense and certainly Ella has said she doesn’t want to share her birthday with anyone else." Amazing! That must've taken some planning at a soul level! Who knows ... could well be.